While the school year is just beginning in the United States, our school year in Guatemala will come to an end in October. 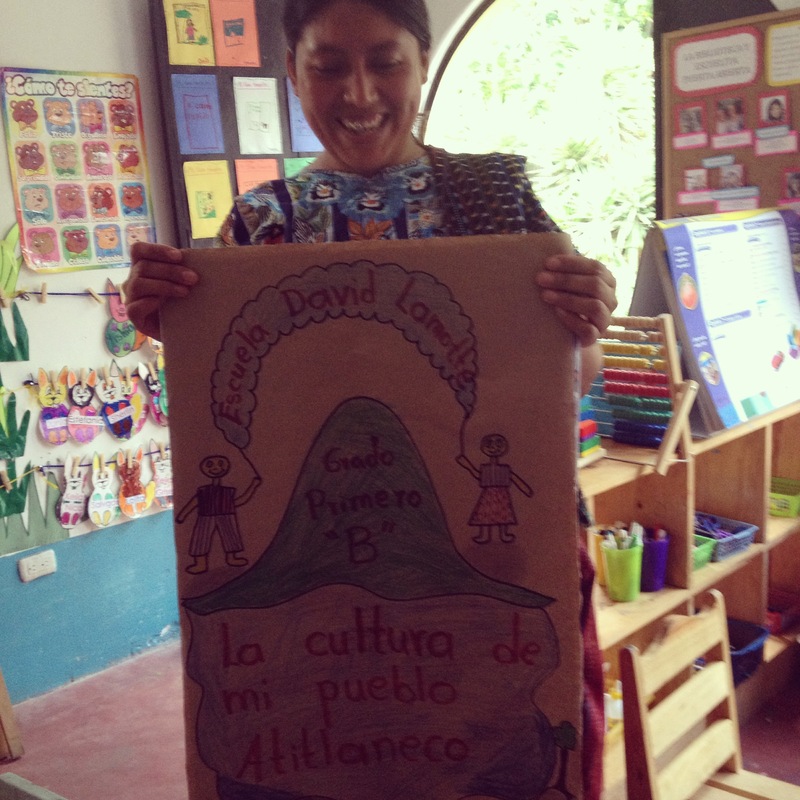 The staff, teachers and families at la Puerta Abierta have been engaged in a variety of creative projects. Our preschool, early stimulation programs, and teen reading groups continue to thrive. 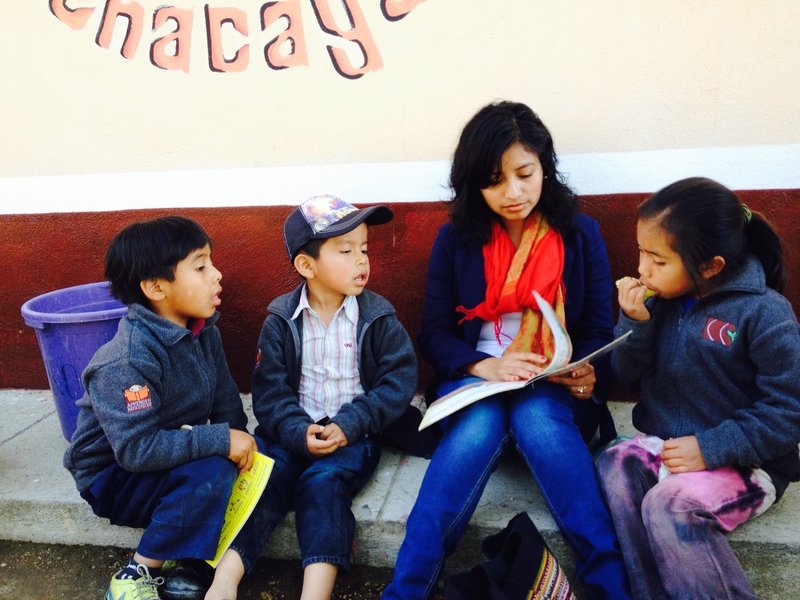 One of our most successful programs to date is la Biblioteca Movil, or Traveling Library. “Here comes the story teacher!” the students cheer. 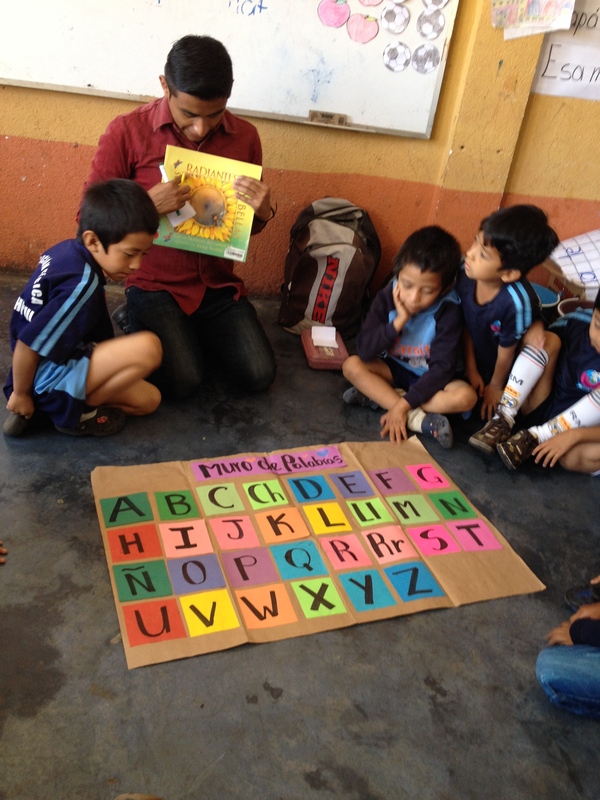 In the rural areas of Santiago Atitlan, Guatemala, where poverty levels make books scarce, the Puerta Abierta Traveling Library shares the joy of reading with young students. Each week, librarians visit eight schools in the outer neighborhoods of town to exchange a new delivery of books and to provide a story-hour with school children. In addition, librarians lead students in an engaging and creative activity connected to the story that has been designed to inspire critical thinking. While imagination is a hard concept to teach, La Biblioteca Movil is providing rural school children in Santiago Atitlan with the tools to explore worlds that only books can open. The October 2015 Bookmobile Fundraiser– Your support is valuable! As the 2015 school year draws to an end, we are beginning to dream up our plans for 2016. We hope to continue to share our traveling library with participating schools and expand to bring our program to new schools in Santiago. We invite you and your (organization, school, employment, etc.) to participate in our 2015 Traveling Library Fundraiser and for you to be an ambassador for our campaign. Ambassadors will be our on ground representatives. They will play a valuable role in organizing a giving “activity/campaign” to collect donations to fund a school in rural Guatemala to receive the Traveling Library Program for one year. A representative of Natik (La Puerta Abierta’s sponsoring NGO in the USA) will be available to provide support for ambassadors throughout the month long campaign. A collective donation of $1,200 will cover the expenses of the Traveling Library in one school for one year. While we encourage institutions to fund a school in it’s entirety, we are grateful for any support which comes our way. Institutions can pledge to support a school for half a year ($600) or for a quarter of a year at ($300). Our goal is to raise more than $10,000 in order to maintain our services in participating schools and to invite new schools to be included in the Traveling Library Program. We hope that the Biblioteca Movil Fundraiser will be fun for ambassadors and their communities. In addition, the campaign is designed to inspire cultural exchange and global compassion. La Puerta Abierta can provide information about life, literacy, education, and family in Guatemala to enhance the essence of exchange for the fundraiser. A simple heart felt letter highlighting the Biblioteca Movil and requesting donations. If you are interested in being an ambassador please confirm your participation before September 15th. A Natik representative will be in touch with ideas and support for setting up your fundraiser and the campaign will run from October 1st through the 31st.